Branson log cabins are some of the best accommodations that offer guests a relaxing stay in a secluded place with a calm environment. These cozy accommodations at Thousand Hills Hotel & Resort have Jacuzzi Suites which are sure to provide every guest a feel of luxury and comfort. Your romantic summer escapade that you can experience with your loved in a Jacuzzi Suite allows you to see spectacular views of bountiful wildlife, pristine scenery, and crystal clear waters. As this lodging spot is near the golf course, you can always have the chance to play with the most popular 18-hole golf course in Branson. The Jacuzzi Suite at Thousand Hills features oversized master bedroom with two-person whirlpool as well as a shower in the adjoining bathroom. The suite has an area of 620 square foot with king size bed, assortment of premium pillows, triple bed sheeting, ceiling fans, private patio, and mirrored panels surround the Jacuzzi tub. The suite has a separate living area that features a mini-kitchen with microwave oven, fridge, toaster, coffee maker, and blender. All log cabins and Jacuzzi suites at Thousand Hills feature a cable television with HBO, free wireless internet access, and a DVD player. Staying in this comfy accommodation at Thousand Hills is a great way to enjoy a wonderful vacation while experiencing an old Ozarks hospitality. In addition, the place is located near the very heart of Branson featuring countless exciting attractions and world class live entertainment shows. Just a few blocks away from your accommodation, you’ll find Tanger Outlets, Lonestar Steakhouse, and many other shops. All Branson log cabins and condos are near the traffic routes with quick access to other popular tourist attractions including Table Rock Lake and Silver Dollar City. Many of Branson visitors believe that staying at the log cabin and condo accommodations at Thousand Hills Hotel & Resort offers a convenient and comfortable living. And it is even more at Jacuzzi Suite as it features high-end facilities that include Jacuzzi tubs, rain showers, and a fully furnished kitchen. The suites also feature spacious bathroom with walk-in shower, screened porch allowing guest to view the natural scenery around the resort. Other accommodations such as log cabins and condos offer guests resort privileges such as the use of modern exercise facility, sports facility, two hot tubs, and indoor and outdoor pools. Thousand Hills Hotel & Resort is one of the leaders of luxury and comfortable accommodation trend for nearly ten years. Jacuzzi suites present the best package that include many amenities and a panoramic view of the beautiful scenery. Your romantic summer getaway, wonderful anniversary and birthday celebration in a Jacuzzi Suite will be more enticing with reserved chocolate truffles, flowers, chocolate covered strawberries, champagne, or sparkling juice with souvenir glasses. 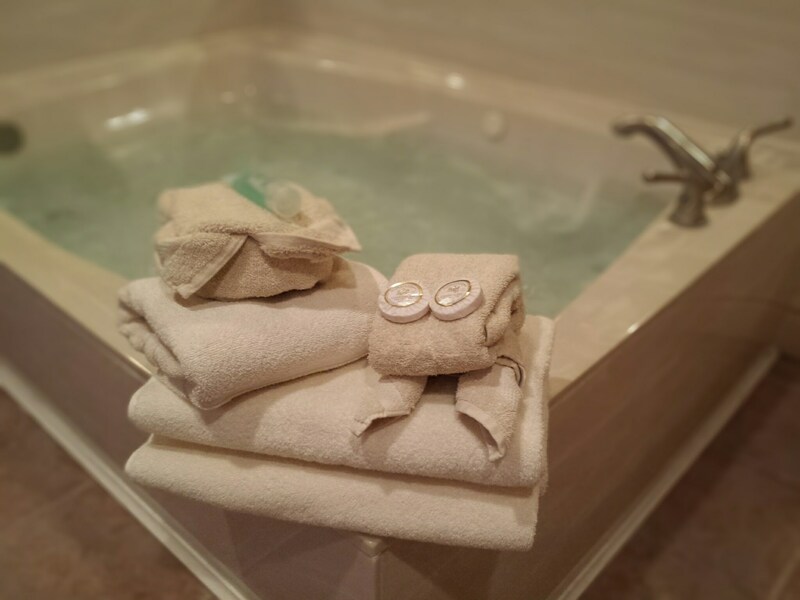 These amenities can be enjoyed at your Jacuzzi suite upon your arrival. When you are looking for a perfect place to spend a romantic summer getaway with your loved one, Branson log cabins and Jacuzzi suites at Thousand Hills will fulfill that special moment.